A town dating back more than 2,000 years has been discovered on the northwest coast of the Sea of Galilee, in Israel's Ginosar valley. The evidence the team found suggests the town was prosperous in ancient times. 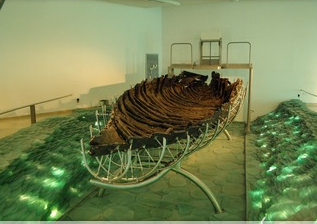 "Vessel glass and amphora hint at wealth," Dark wrote in an article published in the most recent edition of the journal Palestine Exploration Quarterly, while "weights and stone anchors, along with the access to beaches suitable for landing boats — and, of course, the first-century boat … all imply an involvement with fishing." 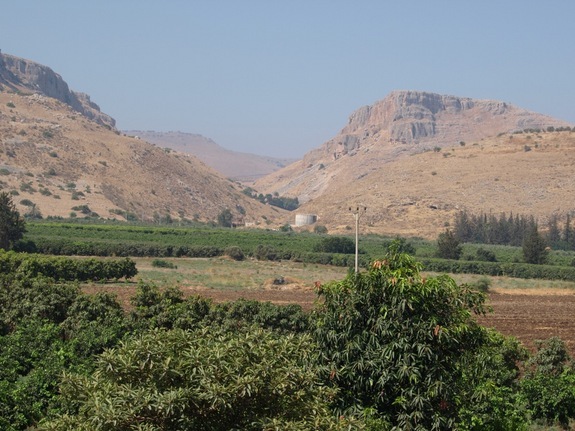 Fields between the modern-day town of Migdal and the sea coast contained hundreds of pottery pieces dating from as early as the second or first century B.C. to up to some point after the fifth century A.D., the time of the Byzantine Empire, the archaeologists found. The artifacts suggest the town survived for many centuries. Also among their finds were cubes known as tesserae and limestone vessel fragments, which were "associated with Jewish purity practices in the early Roman period," indicating the presence of a Jewish community in the town, Dark told LiveScience in an email. Some of the most impressive finds, however, were not made in the fields but rather in modern-day Migdal itself. The archaeologists found dozens of examples of ancient architectural remains, some of which the modern-day townspeople had turned into seats or garden ornaments, or simply left lying on the ground. In one instance, the researchers found more than 40 basalt ashlar blocks in a single garden. After talking to the local people, and trying to identify the source and date of the findings, the researchers determined that many of the architectural remains came from the local area and likely were part of this newly discovered town. These remains included a number of ancient column fragments, including examples of capitals (the top of columns) carved in a Corinthian style. "This settlement may have contained masonry buildings, some with mosaic floors and architectural stonework," Dark wrote in his paper. The finds also included a pagan altar, made of light-gray limestone and used in religious rituals by those of a polytheistic faith, Dark said. In the New Testament, Dalmanutha is mentioned only briefly in the Gospel of Mark. Dark isn't certain the newly discovered town is Dalmanutha, but there is evidence to support the idea. From the remains found, researchers can tell the newly discovered town would have been a sizable, thriving location in the first century A.D., and the name Dalmanutha has not been firmly linked to a known archaeological site. It's likely that the newly found town's name is among the few place-names already identified by other researchers relating to the Ginosar valley shore, and one of those places is Dalmanutha, Dark said.